An oh-so-important part of the process, albeit time consuming, is to gather, plan and create content for your Annual Report. 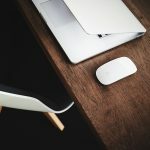 Begin this process as early as you can, so when the time comes to hire a designer, they are equipped with everything they need to work their magic! Imagery is important too – it is key in conveying your message. Always proof read your content before you send it to your designer as it will not only cut down design time (keeping your designer happy! ), it will ensure your budget and deadlines are kept in check. Most design studios will quote with a set number of revisions, so supplying final (or as close to as possible) content can really assist with the process. If multiple people are writing content for different sections, proof reading will also ensure that your company voice is consistent throughout the report. Your tone of voice is just as important as the content itself, in order for readers to feel they are a part of your brand’s vision. Lastly, a well structured Annual Report is cohesive… no one wants to read a long-winded, text heavy document that doesn’t flow (yawn!). Design to engage – we CAN HELP! Starting with a clear brief on your company and your brand; your vision and purpose, your main messages, what do you like / don’t like (visual examples are always beneficial) we will then work with you to develop your Annual Report design. 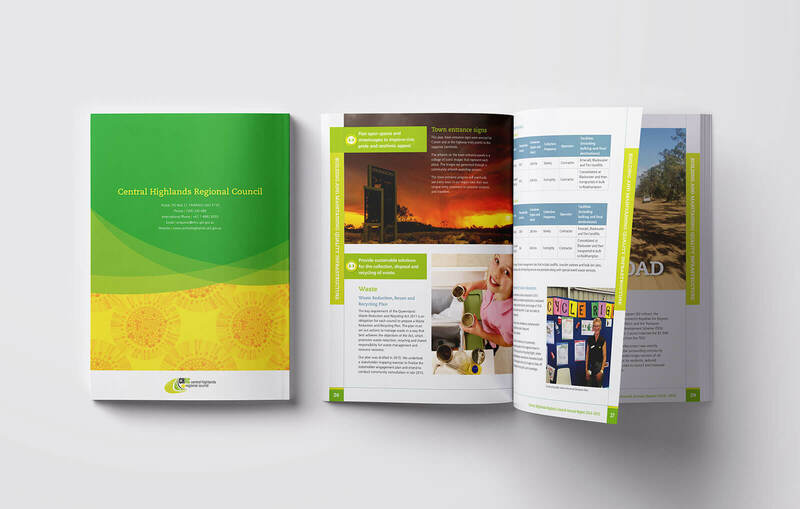 Supplying us with any existing brand elements is extremely helpful, so we can ensure your Annual Report design is consistent with your other marketing materials. It’s our mission to convey your content and key messages in a clear, professional and creative manner. Creativity is what will make your Annual Report stand out; this doesn’t necessarily mean bright colours and crazy fonts, it means using your existing brand elements to produce an interesting and visually engaging Annual Report that is relevant to your brand and industry. 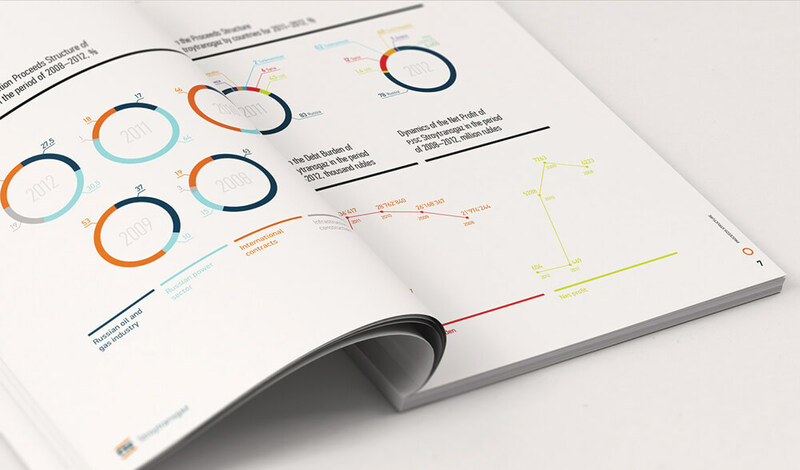 Once we’re armed with this information, we will start to create your Annual Report, utilising imagery, typography, stylised tables, infographics and clever layout design. We’re also fans of ‘white space’ (breathing room with the design) to ensure the design is visually pleasing and the hierarchy of information is intact. This doesn’t literally mean having areas of blank page, but instead, less cluttered areas to break up the large amounts of text with full-pages of imagery or colour. There’s nothing more boring than pages and pages of text, so the use of visuals and white space will add interest and give the eye a chance to rest. Photography can also add personality into your Annual Report design, especially if they are natural or professional photos of your work environment. Be aware of using low-resolution or obvious stock images, as they can be detrimental to your brand’s credibility. Delivery – print or digital? 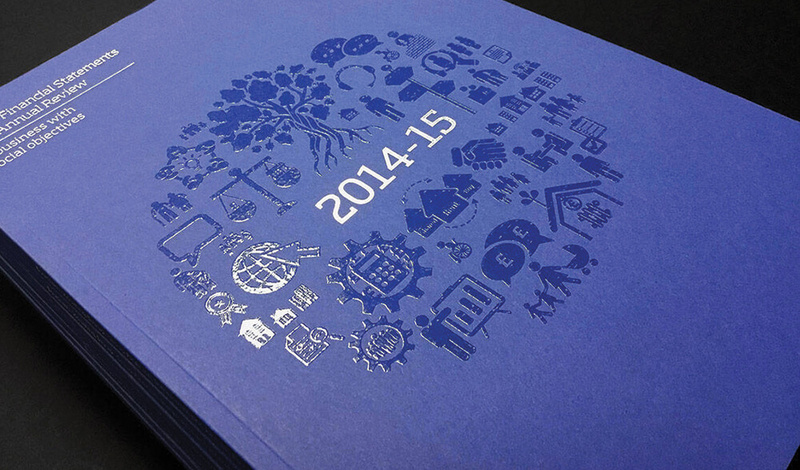 Another important step in the Annual Report design process is to consider how your annual report will be delivered. 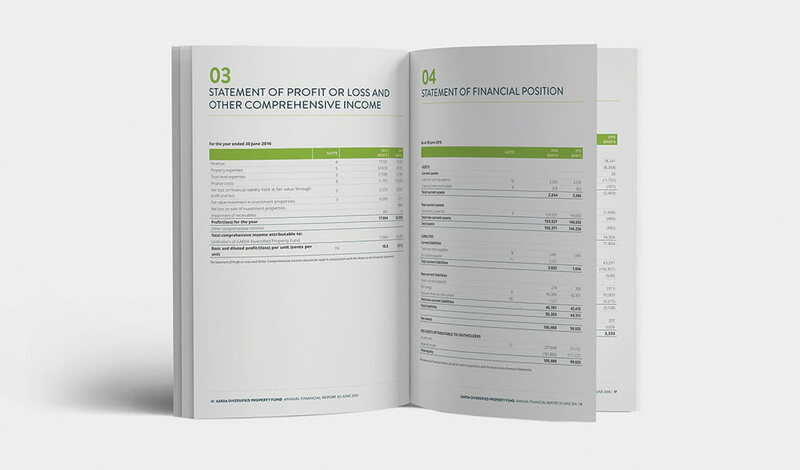 If you’re printing a hard copy of your Annual Report, it’s important to consider printing methods and paper stock selections. If you’re producing a digital version only, consider integrating videos and click through links. Designing for print and digital specifically, can alter how the design is setup at the designer’s end, so make sure you’re crystal clear with your designer before the design process takes place. There are many recycled paper options available, that are economical and still look great – let’s be real; it’s 2018 so this should be important to every business! Printing has come a long way, so don’t be fooled into thinking that you have to use a brown tinted paper to help the environment. You can have a slightly speckled paper or even a bright white if it’s more appropriate for your brand – there are a number of options available. If budget permits, adding a special embellishment such as a foiling or debossing, looks and feels seriously amazing, and is affordable if you intend to print a larger run of copies. Foils aren’t just limited to gold or silver, there are an array of options available and can look particularly smart in black or white, depending on the colour of your Annual Report cover and your brand colours. Another option is to use a Spot UV, which can highlight your logo or brand elements and/or patterns. This is a more affordable way add interest to your cover without breaking the bank. Elements foiled in your brand colour introduce a tactile component that look corporate and high end. Left: Die cutting elements to create interest. Right: Example of using a Spot UV to highlight brand elements/patterns. If you’d prefer to produce a digital only report, consider the use of video elements. In addition, your finished PDF can be set up with an interactive elements such as a click through contents page, making navigation nice and simple. So to sum it up, content is key, first impressions count, and we’re ready and waiting to help you take your Annual Report design to the next level. IMAGE CREDITS (top to bottom): 1. CHRC Annual Report, Juno; 2. infographics, praxisadvance.com; 3. Garda Capital tables, Juno; 4. CN Annual Report, thomashadfield.com; 5. 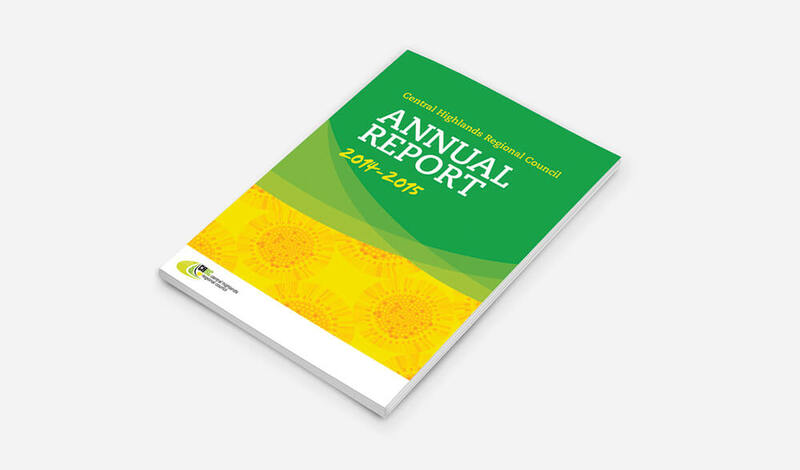 CHRC Annual Report, Juno; 6. Foiled cover, project64.co.uk; 7. Die Cut cover, teika.eu; 8. Spot UV Cover, gen.pt. 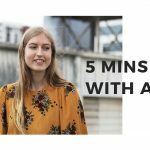 Juno Creative has worked on Annual Reports for medium to larger sized company for its clients in Melbourne.